Spy Kids 3-D: Game Over is a 2003 American action-adventure family film directed by Robert Rodriguez and the third film in the Spy Kids series. It was released in the United States on July 25, 2003. The film featured the return of many cast members from the past two films, although most were in minor roles and cameo appearances. Under-age agents Juni and Carmen Cortez set out on their newest most mind-blowing mission yet: journeying inside the virtual reality world of a 3-D video game designed to outsmart them, as the awe-inspiring graphics and creatures of gaming come to life. 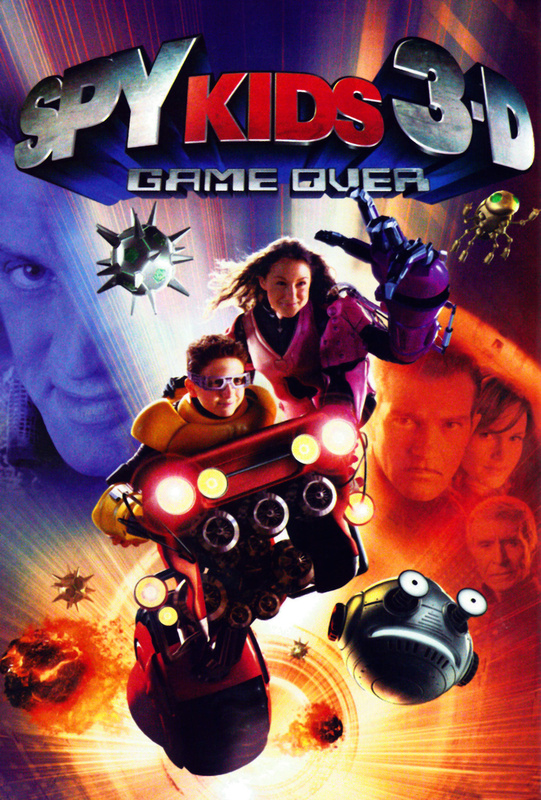 Relying on humor, gadgetry, bravery, family bonds and lightning-quick reflexes, the Spy Kids must battle through tougher and tougher levels of the game, facing challenges that include racing against road warriors and surfing on boiling lava, in order to save the world from a power hungry villain known as the Toymaker.